The ‘Yellow Vest’ protesters have caused months of embarrassment for the French president. French President Emmanuel Macron has signed into law legislation giving security forces greater powers at demonstrations that opponents claim violates civil liberties, the official journal said Thursday. The bill aims to crack down on violence that has marred the ‘yellow vest’ protest movement. But critics suggest it will be used to lock up influential people who organise the protests. The Yellow vest protests have caused months of embarrassment for the French president. Despite attempts at concessions and hundreds of arrests, the French government has not been able to control the protests. Thousands of people turn up each week to attack Macrons socially inequality and pandering to the rich. The bill, which was approved by lawmakers in February, aims to crack down on violence that has marred the “yellow vest” protest movement, which has rocked France since erupting in November. 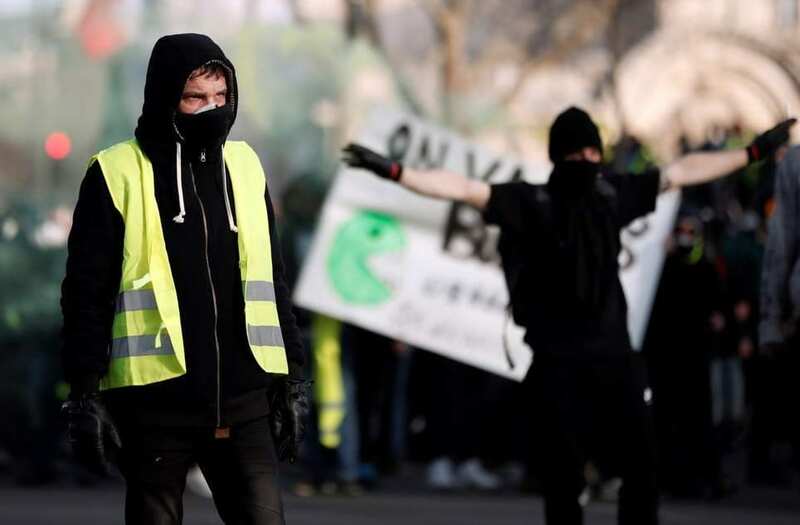 But in a move indicative of the political trouble caused for Macron by the “yellow vest” movement, France’s Constitutional Council, its highest constitutional authority, refused this month to give its green light to one of the most contentious parts of the legislation. That article was accompanied by a file of names of people wanted by the police, which critics strongly denounced as violating citizens’ freedom of assembly as protected in the constitution. Edouard Philippe, the French prime minister, announced on Monday that “From next Saturday, we will ban ‘yellow vest’ protests in neighbourhoods that have been the worst hit as soon as we see sign of the presence of radical groups and their intent to cause damage,” he said in a televised speech. The ban will apply for an unspecified amount of time parts of Paris and also in areas of Bordeaux and Toulouse. All three cities have been badly affected by the anti-government demonstrations.